I am not sure how it came to be one of my things, but apparently I do mini Christmas trees for decorating every year? Last year, I made tinsel trees and the year prior fringe Christmas trees (a reader favorite every holiday!) 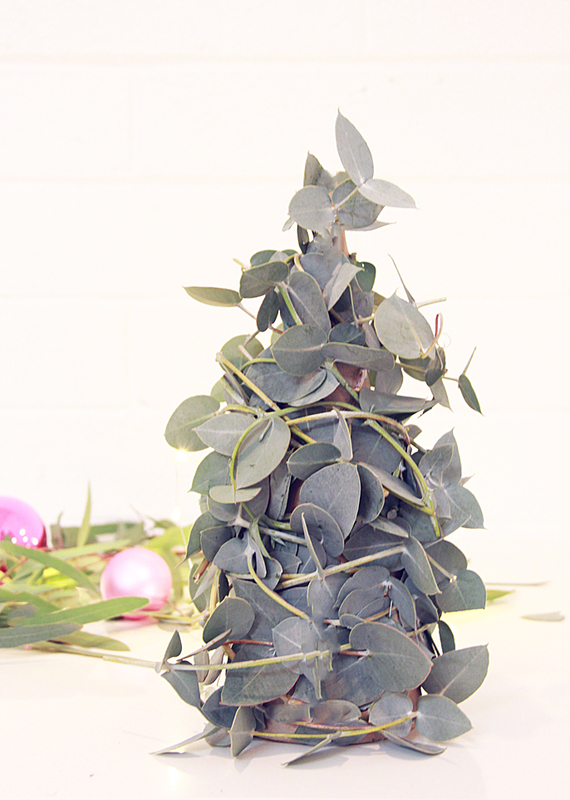 This year, I thought I would use one of my favorite materials, eucalyptus. 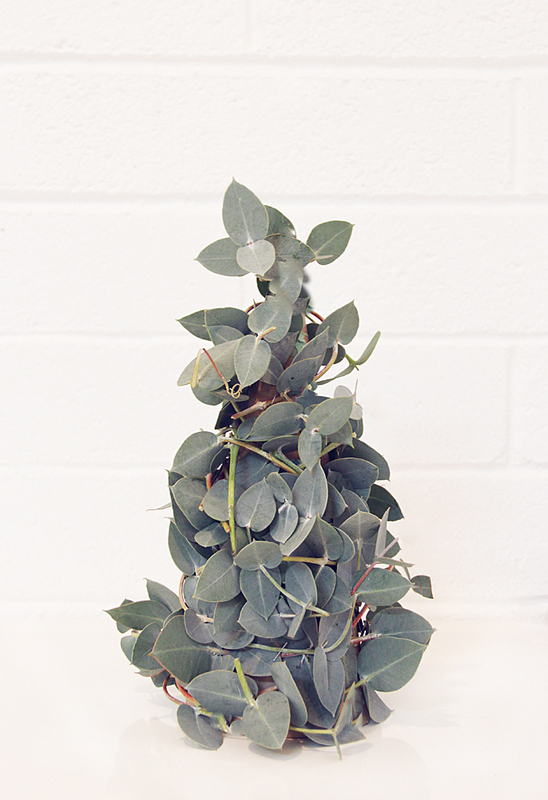 I have made an eucalyptus wreath, a eucalyptus HEART wreath, tied eucalyptus around drinks and there is more. Search it on the blog. I love it. 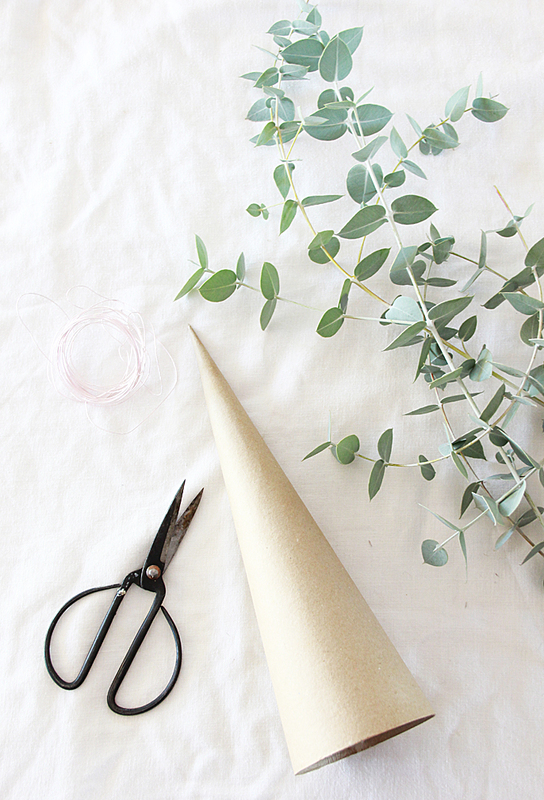 It helps that I have a yard with a couple eucalyptus trees- it makes for easy crafting. I hope this is a clear way to explain my method of making the mini Christmas tree, because there really is no right or wrong way. 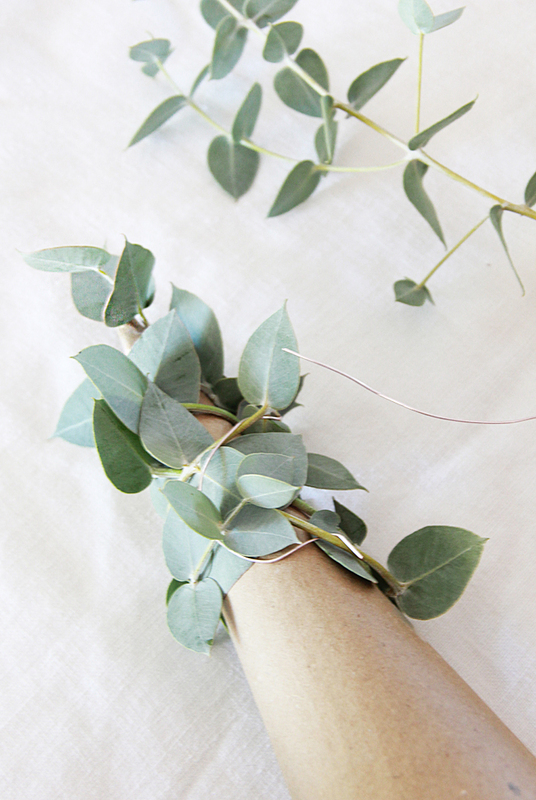 I wrapped a strand of eucalyptus around the cardboard cone and then used the wire to tie and keep in place. I repeated that step over and over. I would be lying if I said it was easy. I love easy diys. It is all I do, if it takes too long or is too hard, I am #noonehastimeforthat But, once I tied about 3 strands of eucalyptus around and despite leaves falling and my frustration, I liked it. And decided to keep going. So, instead of my usual 5 minute DIY, it probably took 20 minutes instead. Not that big of a deal I guess but I like to keep it real around here .